All flares are fitted with a selection of ancillary components to improve operability. These include flame stabilisers, purge reduction seals, windshields, pilots and ignition systems. The process design, based upon back-pressure, radiation, noise and emissions limitations will determine the size and type of flare tip and flare structure. 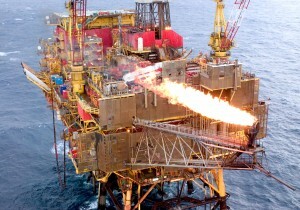 The supporting flare structures come in various types and are also fitted with ancillary equipment such as utility piping, cable tray, davits, aircraft warning lights, caged ladders, step-off platforms and a top flare deck for inspection and maintenance. In addition, there may be knock-out drums, water seals, snuffing systems, air blowers and optical flame or pilot monitoring devices. After installation and commissioning, the safe and reliable operation fo the flare system is paramount and requires some continuous and intermittent utility consumption in order to maintain it that way. Issues with respect to purge rates, purge reduction devices and pilot gas consumption are common focal points of discussion for incorporation into the initial flare design and during the operational life of the flare.